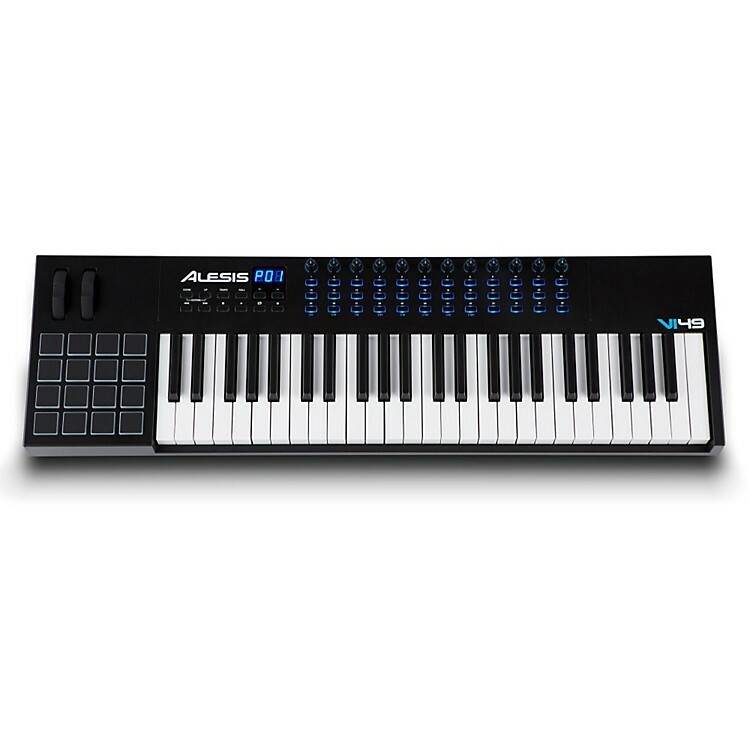 Advanced USB MIDI pad/keyboard controller. Feel the expression of playing on full-sized, semi-weighted keys, but in a compact sized controller that will easily integrate into any desktop production setup. Introducing the VI49 Keyboard Controller with 49 full-sized, square-front keys, 16 LED backlit touchpads with velocity and pressure sensitivity, 12 assignable knobs and 36 assignable buttons, pitch and mod wheels with expressive control and seamless visual feedback from the illuminated buttons and knobs. The VI49 has everything you need to produce, perform and create music. Add expression to your virtual instruments. Order today!